Robotiq developed and launched a brand new URCap with graphical user interface for its 3-Finger Gripper! In the past, users would only be able to control the 3-Finger Gripper via a library of script functions. With the new URCap, they can insert Gripper instruction nodes directly in the program tree. You can download the URCap on the product page of the 3-Finger Adaptive Robot Gripper by browsing to support.robotiq.com. For more information, please refer to the instruction manual of the product. 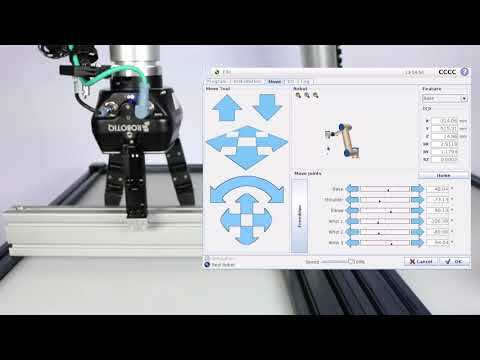 Enjoy an improved, efficient way of programming with the 3-Finger Adaptive Robot Gripper!